Enter waist size if you are not sure what size to pick out. 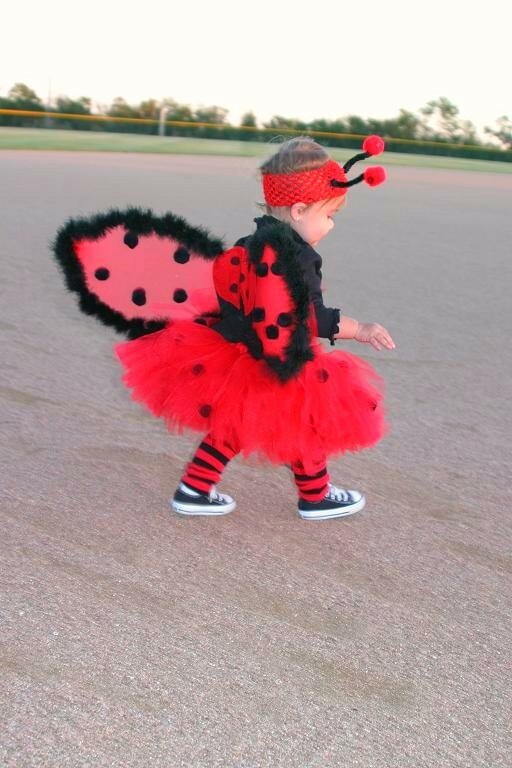 The red and black girls ladybug tutu costume with wings is very full and it's made of 100% soft nylon diamond weave SHIMMER tulle for that extra sparkle. It is SEWN onto the elastic waistband for extra durability. It has black poms SEWN all around the layers, and black satin ribbons all around. The waist features a black organza with satin edges ribbons, and a black peony with gem center.